Back for its third year, Camden Market presents Lock Live, a free event with music from Stealing Sheep, the Cuban Brothers and legendary DJ Norman Jay who'll be performing across four stages within the famous north London market. Heralded by Time Out as one of the top 15 bands to watch this year, Stealing Sheep - a psychedelic female Liverpudlian trio - play chant-like, sometimes choral and pop. As well as live music there'll be street entertainment, dance workshops, international food and drink stalls as well as independent shops and designer makers across the whole of Camden Market from the top of the beautiful, cobbled Stables Market to the edge of the canalside Camden Lock. 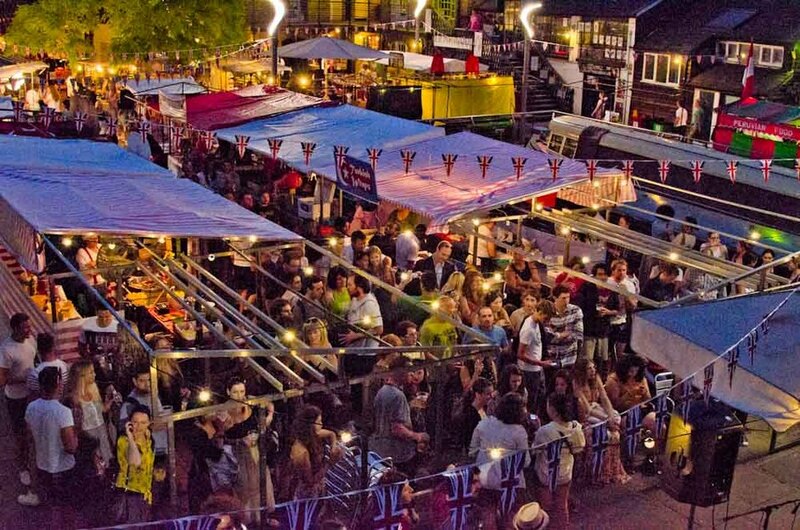 What are the best dining options near Camden Market Presents: Lock Live London? Camden Market Presents: Lock Live gyms, sporting activities, health & beauty and fitness. The best pubs near London Camden Market Presents: Lock Live. Camden Market Presents: Lock Live clubs, bars, cabaret nights, casinos and interesting nightlife. Where to have your meeting, conference, exhibition, private dining or training course near Camden Market Presents: Lock Live. From cheap budget hotels to luxury 5 star hotels see our deals for Camden Stables Market hotels, including ibis London Euston St Pancras from 0% off.